Four inmates from a major Alabama jailbreak have yet to be recaptured after escaping Sunday night, including one who was being held for attempted murder. According to a Facebook post from the Walker County Sheriff’s Office, 12 inmates originally broke free from the facility, though eight have already been caught by authorities. Two men—28-year-old Steven Lamb and 19-year-old Christopher Smith—were wanted for attempted murder, though in an update the sheriff said that Lamb has been apprehended. Others on the loose include Brady Kilpatrick, 24, who was sentenced for possession of controlled substance, drug paraphernalia, and marijuana; Larry Inman Jr, 29, who allegedly received stolen property and attempted to elude authorities; and Ethan Pearl, 24, who allegedly resisted arrest, obstructed government operations, possessed drug paraphernalia and other charges. 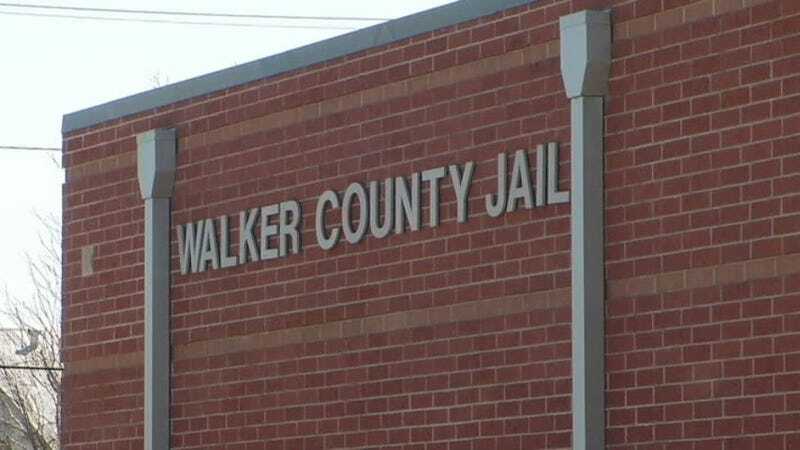 In 2014, the Walker County Sheriff complained of a variety of security concerns at the jail—including cells that didn’t lock—which resulted in the assault of two deputies. The faulty system was apparently shrugged off by county board members, who responded that money had already been allocated to fix the problem. “They’re bringing a band aid, when we need to have a massive surgery to correct this problem,” the sheriff said at the time.